Property Developments Plus Limited was started by Barry Spurgeon back in 2005. After serving 5 years as an apprentice, I continued to work on large building sites all over the greater London area. 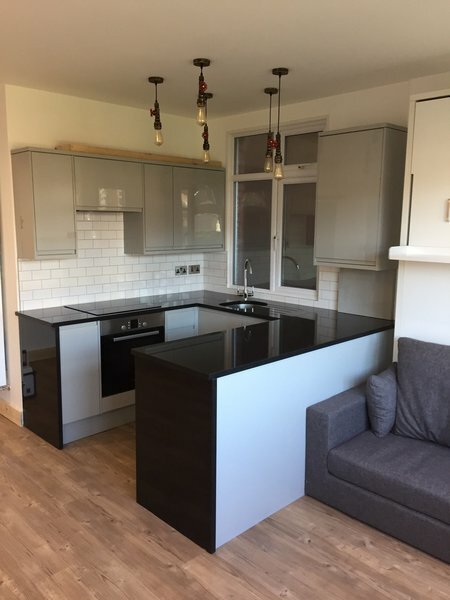 Frustrated by so many tradesman’s attitudes and their reluctance to provide a quality service, I decided to start Property Developments Plus with the assistance of my parents. The aim was simple. Provide a service to be proud of within the local community. In turn, over the years we have grown into a small family run company. Establishing a good working relationship with local reputable suppliers. This has assisted us in building our business, providing a complete package and a first class service. Thus bringing in many new contacts via well respected recommendations. Barry & the team at PDP’s transformation of our kitchen was first class. It was the latest in a series of projects PDP has done for us, every one of them we are totally happy with. Thank you guys, the result is just what we hoped for and at a fraction of the price of a complete refit. Well done again. 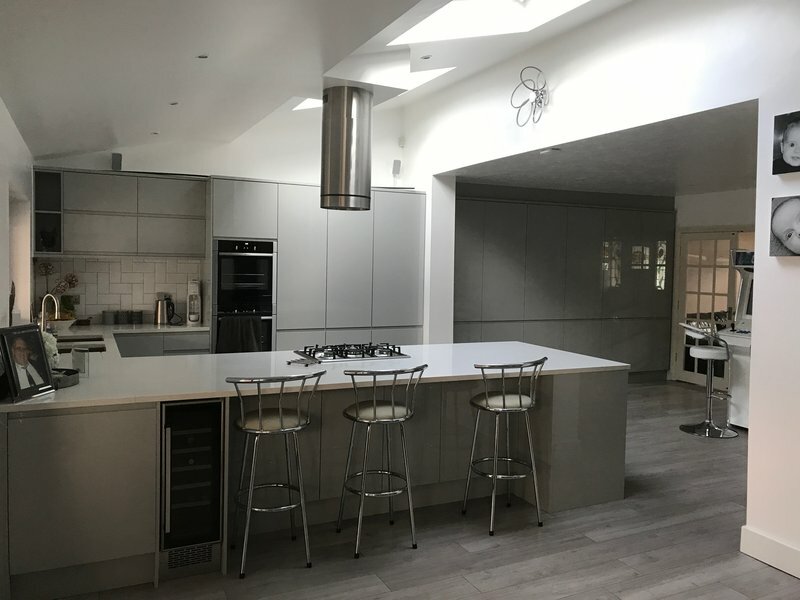 After Barry had created an en suite bathroom out of 4 built-in cupboards and fitted a new kitchen in 2018, both jobs to an exceptionally high standard, we decided to have our bathroom refitted. Barry gave us advice as to how it could be remodelled and we decided to proceed with his suggestions. As previously, he gave us a timeline for the work and organised his team accordingly. The work was carried out in accordance to the schedule and all to a high standard and with much good humour! I would recommend Barry and his team unreservedly (and have done so to friends and relatives) they are truly professionals! 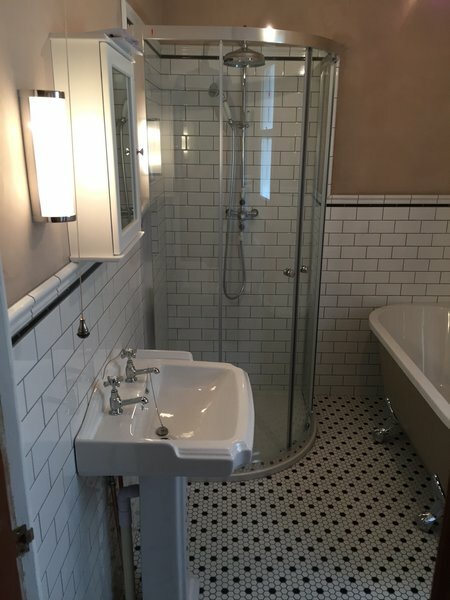 The team installed a new shower, tray & screen in our en suite. They completed the work with minimum disruption & were careful to cover carpets etc. They identified that a part was missing from the shower we had ordered & were very accommodating in scheduling a return visit as soon as it arrived.Would recommend them without hesitation. Great work and very pleased with the job, fast and reliable. From initial quote to job completion totally professional. Would definitely recommend. We were stuck with a blocked waste pipe in our bathroom and needed an emergency repair. Barry has done some work for us before so I called and asked for his help. I arrived within an hour, fixed the immediate problem, worked out what needed to be done and then came back first thing the following morning to make the permanent repair. He did a perfect job of finding the cause of the blockage and re-routing the pipe, meaning that there should be no further problems and, as a bonus, that there’s now more space in the room! His invoice for the work was clear and itemised. We’re so grateful for Barry’s excellent work and have asked him to quote for another job. Thanks again! 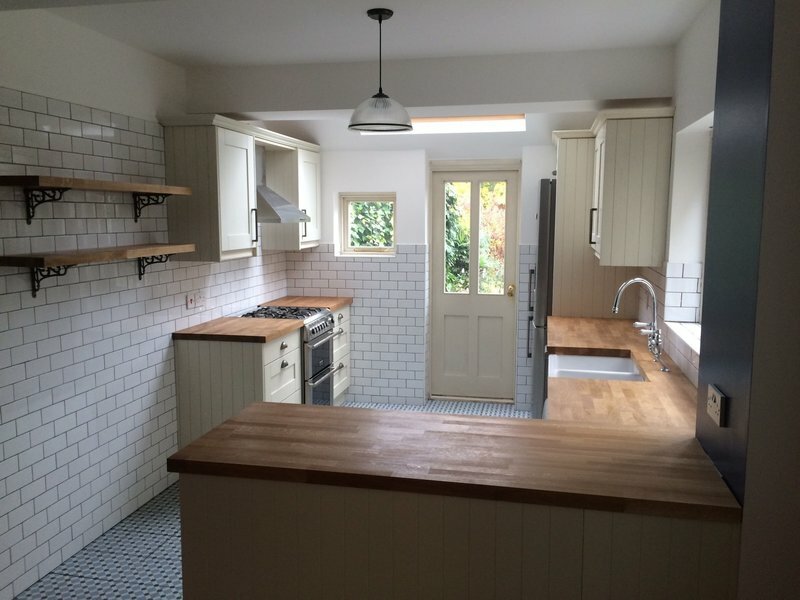 Deciding to have a new kitchen is a significant decision taking into account the financial commitment, timescale and upheaval. The guys at PDP guided us through the process from design to delivery and the quote was extremely accurate without any surprising “add-ons”. The outcome is nothing short of spectacular. Considering the consequences if we made a bad choice, contracting PDP easily became one of the best decisions we made in 2018. PDP provided a very detailed quote and offered some very good suggestions on the design of the bathroom and kitchen. The quote was competitive and offered the best timeline for completion. 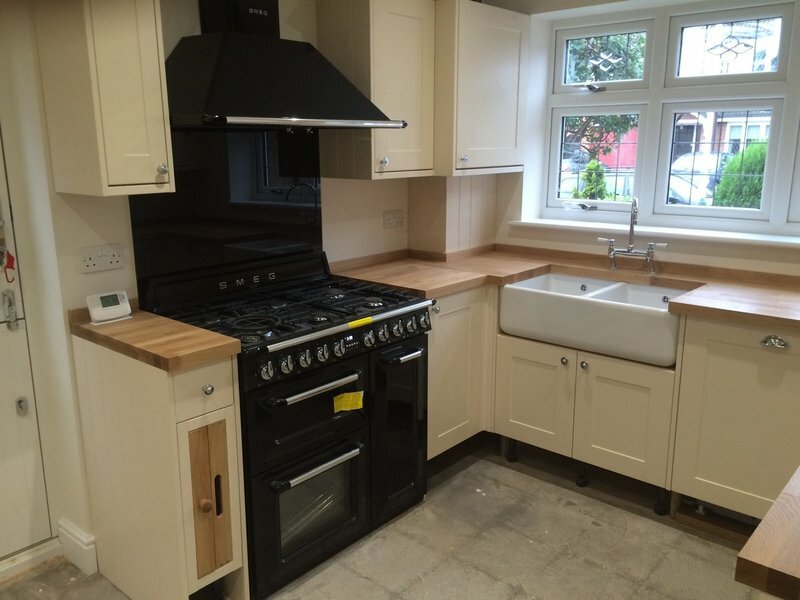 The quality of workmanship was very good, the sub contractors used for the tilling and the installation of quartz work tops were excellent. PDP pay attention to detail and ensuring that they keep the site tidy and as clean as possible after every day. I would highly recommend Barry and his team, first class service provided. Barry has done work for me over a number of years. He is reliable, hardworking and has always go the extra mile to help me out when I have needed him. His work is of a very high standard and is always happy to advise when I have asked for it. He is very knowledgeable about all aspects of different trades and trustworthy. I wouldn't use anyone else for my various building tasks as I would not have the same level of care, expertise and trust. I was recommended to Barry by a couple of colleagues as I needed to have my bathroom ripped out and replaced. From the first consult to the end of works I was very impressed. The bathroom was ripped out and taken back to bare walls, fully re-plastered and re-plumbed. Toilet, sinks, WC and shower fitted and fully re-tiled floor and walls. The standard of work and cleanliness whilst work was underway was fantastic from start to finish. You would not have known the had been working until you actually entered the bathroom and saw the daily progress. No mess, no dust, no debris. The finished article is fantastic, I cannot rate the guys that did the works enough. 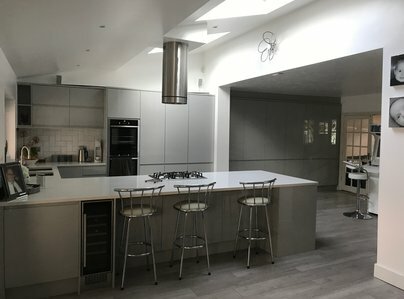 Barry undertook a single story extension for us, which also involved some internal changes (remodelling the old kitchen into a utility room) as well as installing a new kitchen in the extension. I can’t recommend PDP enough. The whole team we’re reliable, clean and professional and we are thrilled with all the work done. Nothing was too much trouble and Barry was happy to accommodate our requests throughout the project.